Should You Change Answers on Multiple-Choice Tests, or "Stick With Your Gut?" Should you change your answers on test questions? I’m going to spoil it right up front: In general, the answer is yes. Research has been conducted multiple times over the course of the last seventy years on this problem, and the results are clear. Most answer changes are from wrong to right, which means that most people who do choose to change answers will actually improve their test scores. 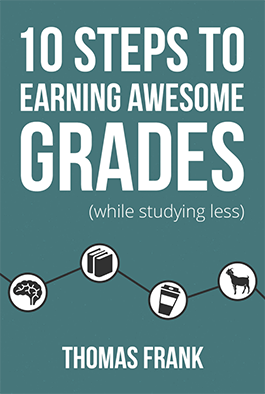 Teachers, parents, – even SAT prep guides have given this advice out for years. And the most interesting – and, kinda sad – part is that, even though I just told you this – even though I can and will point you to the actual research backing it up – and even if you believe me, you’re not likely to change your behavior. In this video, I’ll explain why that is. 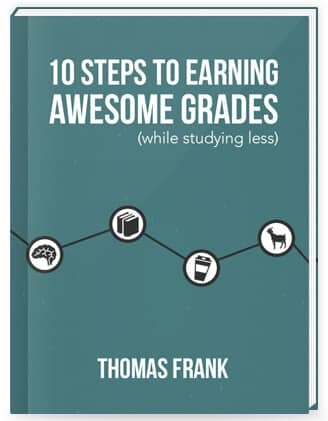 If you found this video helpful, you’ll find even more tips for acing your exams in my free 100+ page book called 10 Steps to Earning Awesome Grades (While Studying Less). What about you? Do you tend to change answers on your tests, or do you tend to stick with your first impression? Also, just a reminder – I’ll be in Japan for the next three weeks! While there will be videos coming out, I won’t be as fast to respond on social channels or email during the trip.